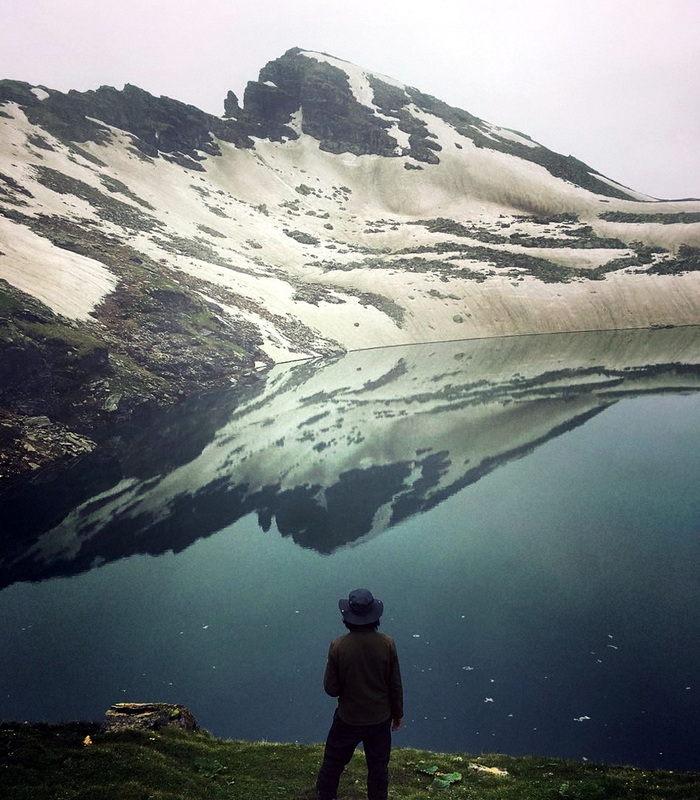 The breathtaking Bhrigu Lake trek is undoubtedly a visual masterpiece at every new step. 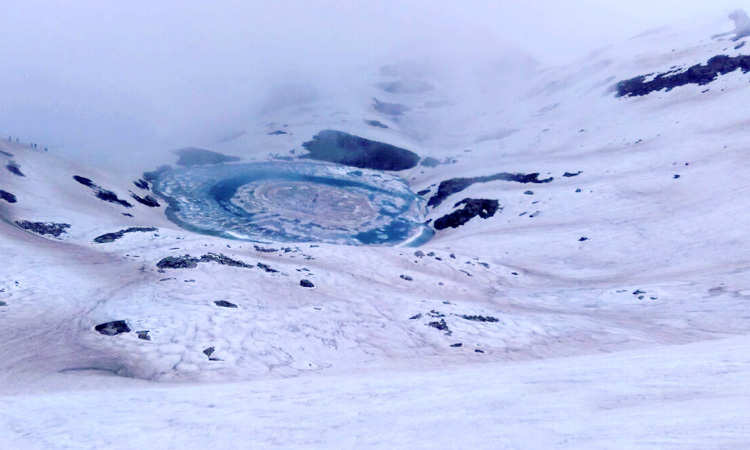 Located at an altitude of approx 14,000ft, the beauty of the serene glacial lake is well worth of legends and folklores. The lake changes color every few weeks!!! Emerald green at one point and Royal blue the other!! And it's not just the lake which makes this trek so special. 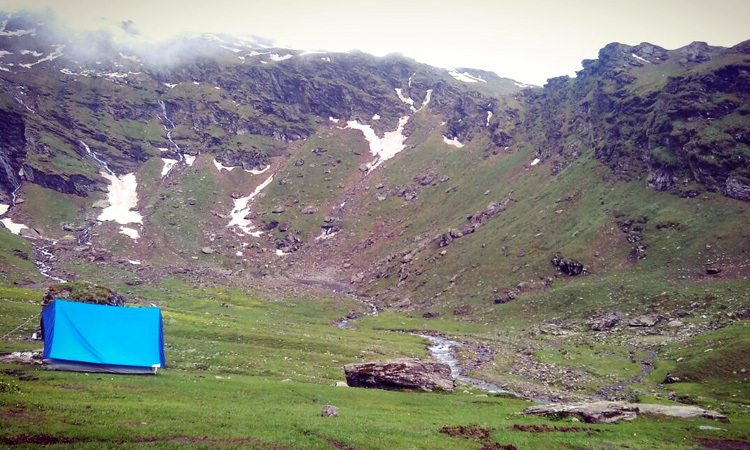 The Bhrigu Lake trek is one of the best options to witness some glorious high altitude meadows in the Indian Himalayas. The experience of crossing the 'tree line' and venturing into vast stretches of a lush green carpet of fine grass is bound to have an everlasting effect on your mind and soul alike. 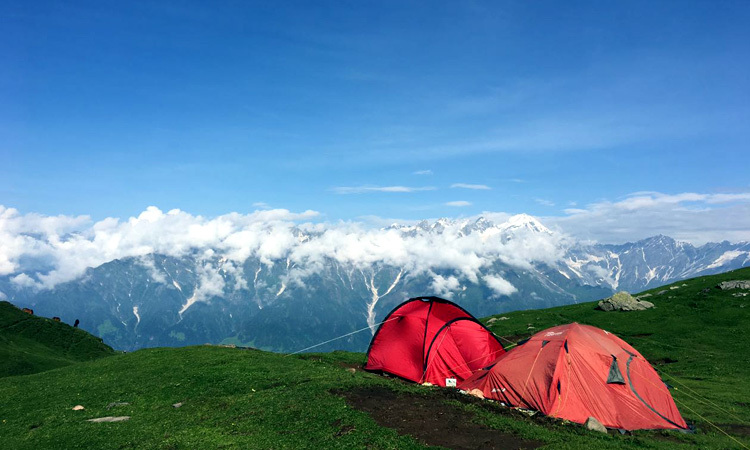 The stunning meadows can be compared to the most famous and beautiful high altitude Indian meadows like Dayara Bugyal and Bedni Bugyal of Uttarakhand. These meadows generally start at an altitude of 11,000 ft ,once the tree lines recede. 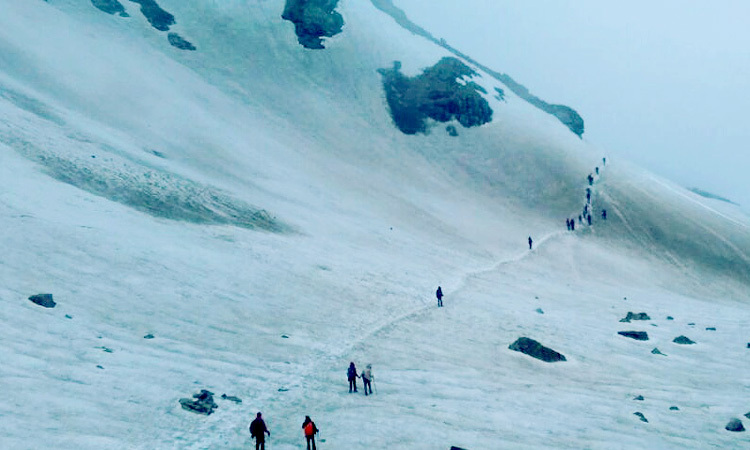 And the Bhrigu Lake trek, being a short 3-4 day trek, is probably the most convenient route to get a glimpse of these marvels of nature. The experience of strolling across the heavenly meadows just cannot be put into words. The kaleidoscope of the greenest of green grass and the bluest of blue sky has the power to heal a broken soul or a weary traveler. And add to that, the glimpse of snow clad peaks surrounding the entire stretch. The surreal canvas will just take your breath away. 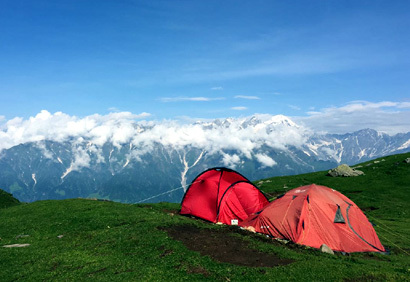 The Bhrigu Lake trek is an out and out grassland trek. 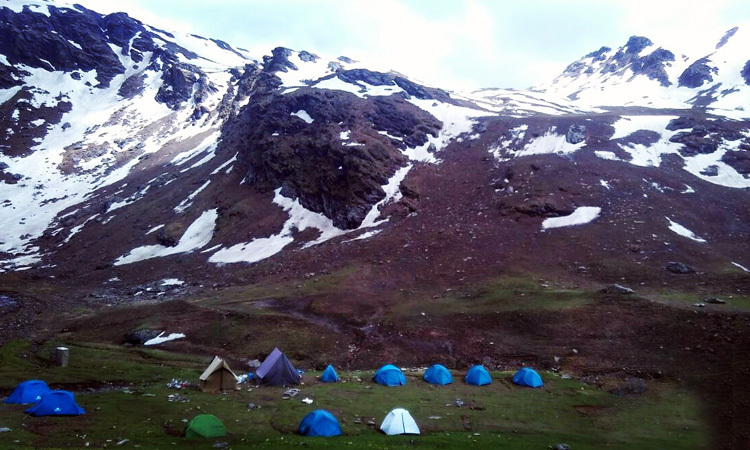 You put your first step onto the meadows within hours of leaving Manali, and they accompany you right until the lake. A perfect option to choose as your first Himalaya trek !!!! We assemble near Manali Bus stand at 7 am. 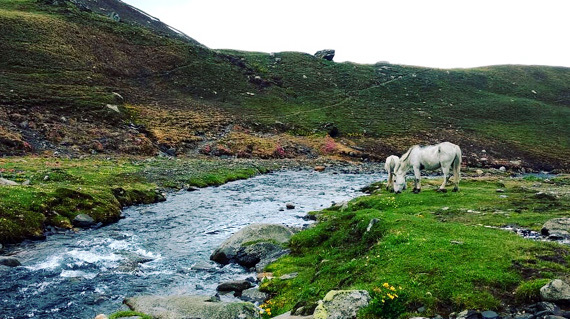 After a round of introduction and a brief about the trip, we get onto the veichles to ride to the trek's starting point near the hamlet of Gulaba. 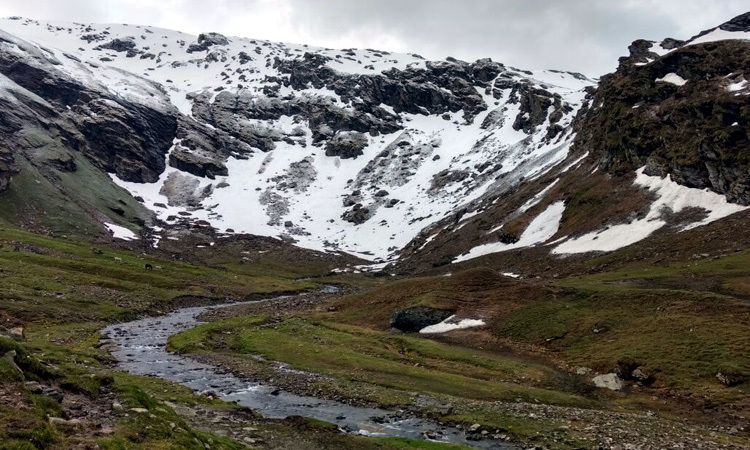 Gulaba falls around 22 kms on the Manali - Rohtang highway. 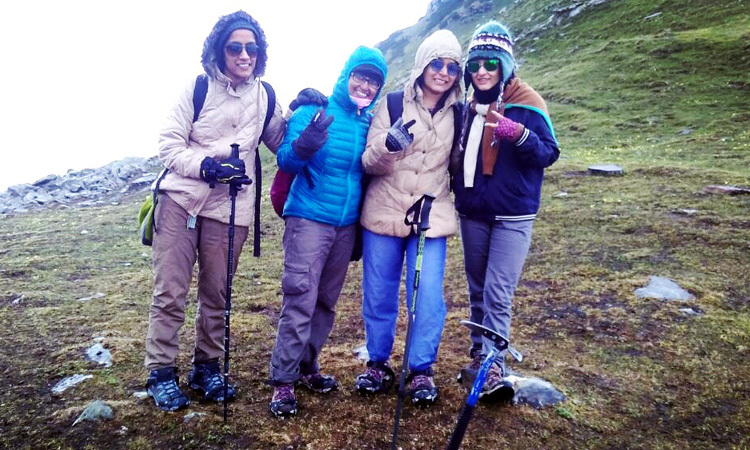 Its from the Gulaba that the actual trek starts. It's a beautiful walk through oak and deodar forests, sprinkled with some amazing views of the Manali and Solang Valleys. It's a 3-4 hours of hike till Kolang Nala. 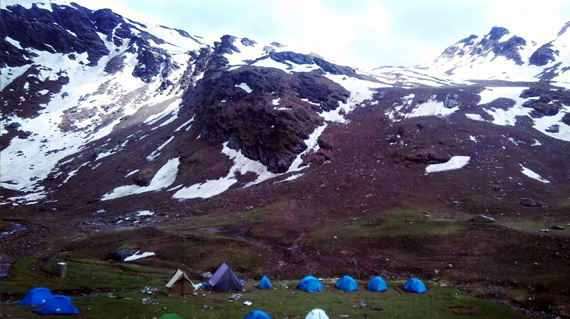 On the way, be ready for mesmerizing views of well known peaks like Hanuman Tibba and the Seven Sister's Peaks. 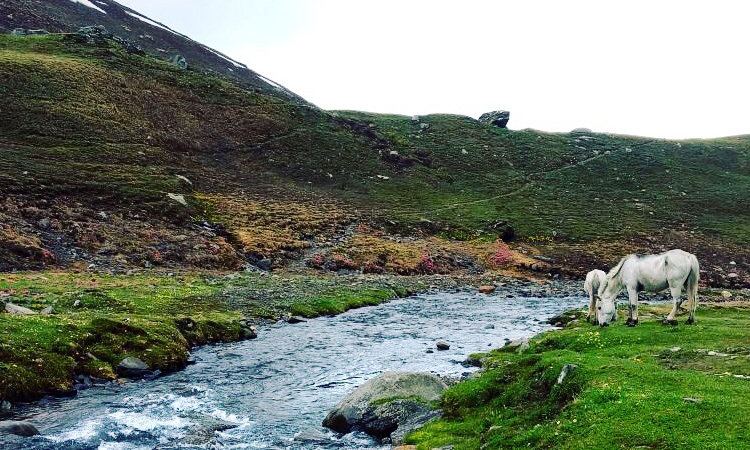 The trail from Kolang Nala takes you further into the lap of wilderness. We cross a wooden bridge over the Nala and make our way forward to the Rola Kholi campsite, that is another 2 hours trek from here. But once we reach the campsite, the soaring muscles get an instant respite. It's a beautiful area, with a gushing water stream passing through. It's the longest day of the trek ahead, so we start early in the morning. The trail gradually becomes steep, and you can see the change in the landscape..As you gain altitude, the green carpet of grass make way for boulders and scree. And the moment when you finally have the first glimpse of the lake...Priceless !!!!!! 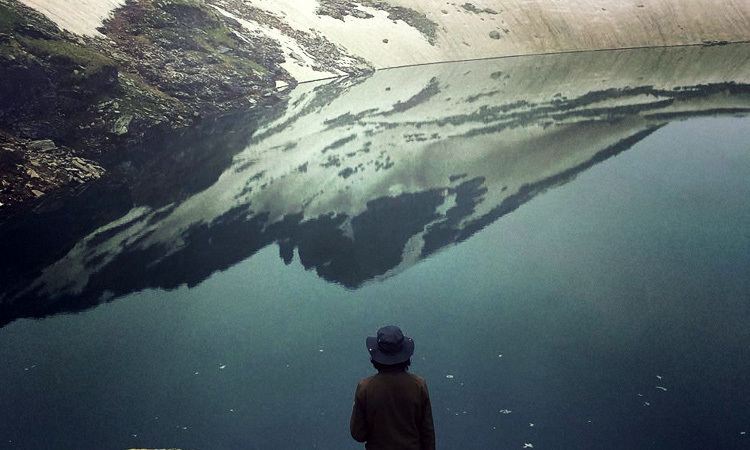 Just sit by the shores and marvel at the subtle ripples of the pristine lake. In the summers, you'll find tiny colorful flower scattered all around the lake. Spend some time exloring the lake surroundings before starting for our final campsite of the trek, Pandu Ropa. It's a breathtaking walk across the meadows to reach the campsite. It's down all the way from here on. But moving downwards is tricky too. There will be more pressure on your knees. You also need to put your foot at the right spots in order to maintain a firm grip on the slanting ground. As you get nearer to Vahishth, you will pass through small villages and beautiful apple orchards. 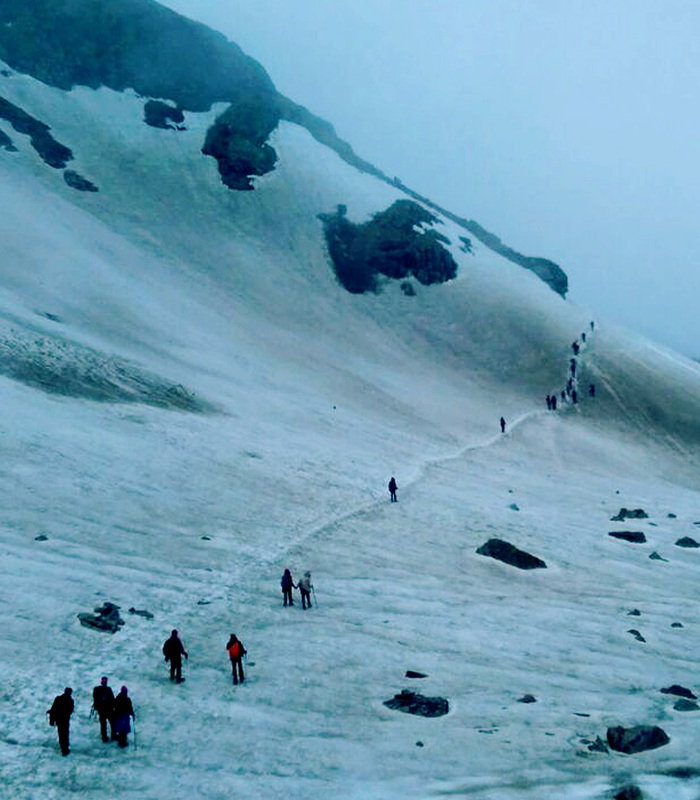 We reach Vashishth by early evening. The place is famous for it's hot sulphur springs. A great place to pamper those soaring muscles and aching limbs !!! - Nutritious and healthy vegetarian food. (Starting with lunch on First Day and ending with breakfast on Last Day). - Transportation cost from Delhi to Manali and return. - Hotel Accommodation in Manali. - Anything not mentioned in Inclusions.